Guwahati: The long and elusive global hunt for a cure to cancer now has an Assam link. 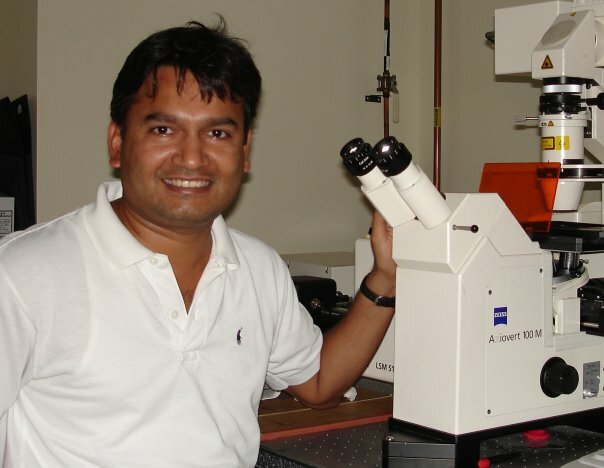 Assam-born research scientist Bikul Das, based at the Stanford University School of Medicine in the US, has made a major breakthrough towards cracking the elusive cancer code, or a part of it. In a research, Das has shown that certain human embryonic stem cells, in times of stress, produce molecules that not only benefit themselves, but help nearby cells survive. Dr Das at his lab. Scientists are working towards using embryonic stem cells as therapy for many diseases. Das’ work is expected to help enhance the therapy and also reduce side-effects and in the process prevent some stem cells turning cancerous. “Altruism has been reported among bacterial populations and among humans and other animals, like monkeys and elephants. But in mammalian cells — at the cellular level — the idea of altruism has never been described before,” Das told Seven Sisters Post. While altruism is generally thought of as a virtue, it can have a downside for human embryonic stem cells HESCs: the altruistic cells appear to be more prone to accumulating mutations, a sign that they could lead to cancers. A better understanding of HESC altruism could provide new insights into cancer therapies, as well as improving scientists’ ability to develop safe and effective stem cell treatments for other diseases. “By understanding the molecular mechanism of how normal stem cell become cancer stem cell can lead to cancer cure. The issue is mainly stem cell therapy. Cancer is the secondary focus,” added Das, who is the lead author of a paper that documents altruistic behaviour by HESCs. The finding arose from Das’ research into how HESCs react to low-oxygen environments, important because many cancerous tumours are low in oxygen. These cells have the capability to develop into many different cell types through a process called differentiation. Scientists had previously shown that when embryonic stem cells are under stress, levels of HIF2-alpha and p53 both goes up and most of the cells differentiate or die. What makes this study unique is t hat Das and colleagues were able to isolate the altruistic cells that exhibit a low p53 level, which helps them to escape death or differentiation. Most importantly, Das discovered that the level of p53 fluctuates in the altruistic fraction in a pattern that keeps the p53 at low level, thereby interrupting the regular oscillation. The fluctuation of p53 protein, known in scientific language as “p53 oscillation” could occur in any given cell in a set pattern over time, after the cells are exposed to stress. Depending on where the p53 level in the cycle (high or low), stem cells either stop their normal cell cycle, die or repair mutations in their DNA to continue living. 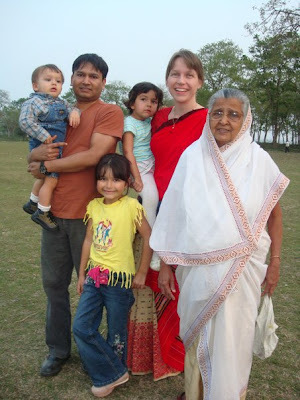 Das got $100,000 as grant from the Gates Foundation for his research endeavour. So far, he has also received more than half-a-million dollar grant from government and private foundations of North America to conduct his research on cancer and stem cells. Before coming to Stanford in 2009, Das did his PhD in Molecular Oncology from the Institute of Medical Science, University of Toronto. 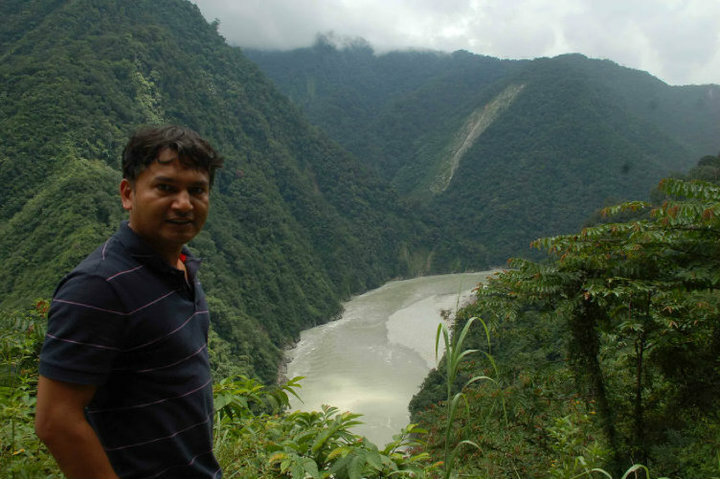 Earlier, he spent six years (19941999) practicing internal medicine in India and Bhutan after completing his MBBS in 1993 from the Guwahati Medical College and Hospital (GMCH). He is the author of 15 journal articles, book chapters, and books. He serves on the editorial advisory board of Stem Cells International, and reviewed more than thirty journal articles. Das has also been awarded several international awards, including the Schweisguth prize by the International Society of Pediatric Oncology, Harold E Johns Award by the Canadian Cancer Society and Scholar-intraining award by the American Association of Cancer Research and Japanese Cancer Society. Since his days at the GMCH, Das was interested in the single cell — how a cell divides and grows, and how this growth is controlled. But he decided to do research on cancer after seeing his father suffer and die of cancer. “I saw my father, late Krishna Ram Das suffering from esophageal cancer when I was about to start my post-graduate training in New Delhi. Then I decided to further expand my own ideas on cell growth and cancer, and do research on cancer. So, I started thinking on my own ideas on cell growth, about why some cells grow out of control to become cancerous cells,” Das, who hails from Sualkuchi of Kamrup district, said. Initially, he started to learn medicine by attending to patients at his independent chamber at his village Sualkuchi which helped him do self-study. “The independent practice gave me enough time to study and further develop on my ideas on researching against cancer,” he added. Das, who vowed to continue his work on stem cell and altruism, advocated a corruption-free society for further development and growth medical education system. “We have smart doctors and educators. Once the society decides to live a corruption-free healthy life, doctors will do much better job, because it is easier to grow and develop a medical education system in a corruption free society,” he said. anti melanoma drugs offered in different physical options and supports to cancer cure. Drugs provided for cancer cure are free from toxins and complication. Cancer cure drugs designed using risk free & authentic ingredients.